Daylight savings happened and I have to wonder, whatever did I do with the hour lost? Where’d it go? I know where I was at the time. Driving on I 5 in relentless rain. The monotony of gray. A day as dark as night. Four lanes of cars spraying like a battalion of power boats. Hypnotic windshield wipers. Well what I did with that hour while driving was nothing less than to re-imagine my life. We were meeting a friend for lunch that day in Blaine, Washington, where he keeps a cabin. Blaine is in Whatcom County and the northernmost town in the state of Washington. Our friend lives in an apartment in Vancouver B.C. and comes to the cabin every chance he gets. He has been doing this for years. There he has guest rooms for his children and grandchildren, a vegetable garden, and a 36’ sailboat in the marina. Never mind that his cabin is a doublewide, it looked like the good life to me. In the darkness of winter it is difficult for us to believe we will ever come out of it. It is almost like Whoville. You would hardly know we are here. Though our candles glow like Northern lights, we lose sight of it too and start to wonder. For our friend in Vancouver, the biggest draw to Blaine is the sun. Between the cities of Vancouver and Seattle there exists an intricate pattern of microclimates, some of which are blessed with a hundred more days of sunshine per year. I know of pilots who have identified Ocean Shores, Washington from the air, and vowed to retire there. 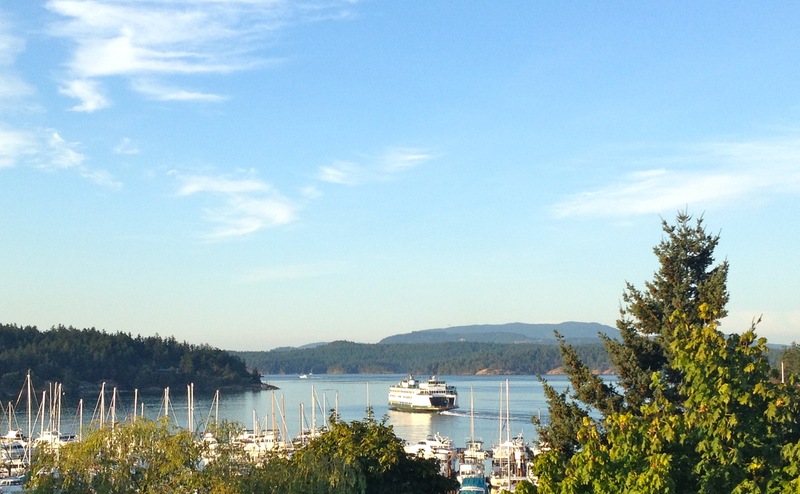 For us it would be in The San Juan Islands. We spend a lot of time on I 5. In that hour lost I flipped the whole equation mentally, and re-imagined our life from the islands. It struck me as clear: turn everything around and live there. Live, love, write, and worship my new god, Ra. ah, what a wonderful imagining as to what you did with your lost hour. i think of all the times before all this technology when one had a chance to forget to turn the clocks back or forward and live the hour as if not changed. Would we know what we did then or not? hmmm … I need the sunshine more too! Such a good query: what did I do with that hour? waste it, sleep it away, recharge myself, dream new dreams?